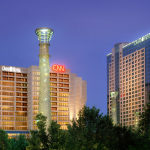 Flanked by such major tourist destinations as the Georgia World Congress Center, Philips Arena and Centennial Olympic Park, the Omni Hotel at CNN Center is a highly visible landmark in Atlanta’s urban core. C+TC Design Studio began a relationship with the property more than ten years ago, with ongoing renovations to the existing hotel constructed in the 1970s. 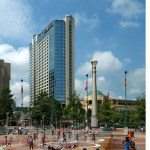 Building upon a history of outstanding service, the firm was commissioned to provide both architecture and interior design services for the new 27-story tower. 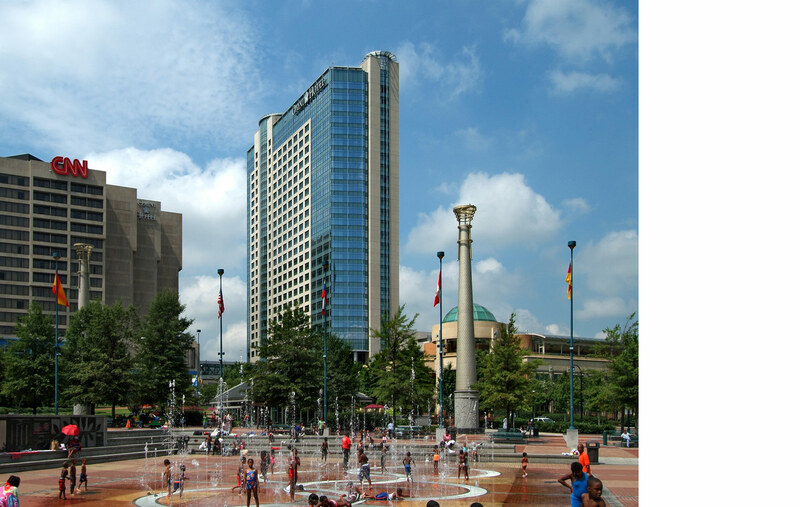 This $70 million expansion adds approximately 600 guestrooms to the existing property and establishes it as the leading convention hotel in downtown Atlanta. The design team focused on creating a solution that incorporates the modern look of the original hotel without overwhelming the skyline. 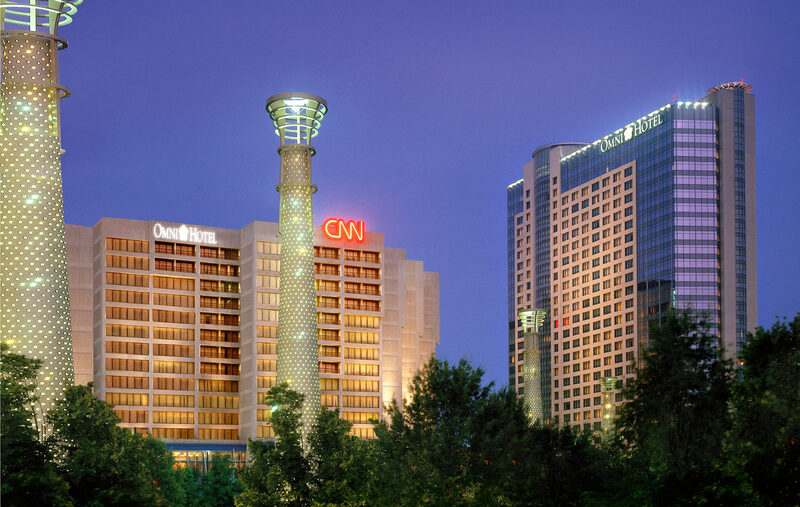 A street view of the Omni Hotel at the CNN Center.